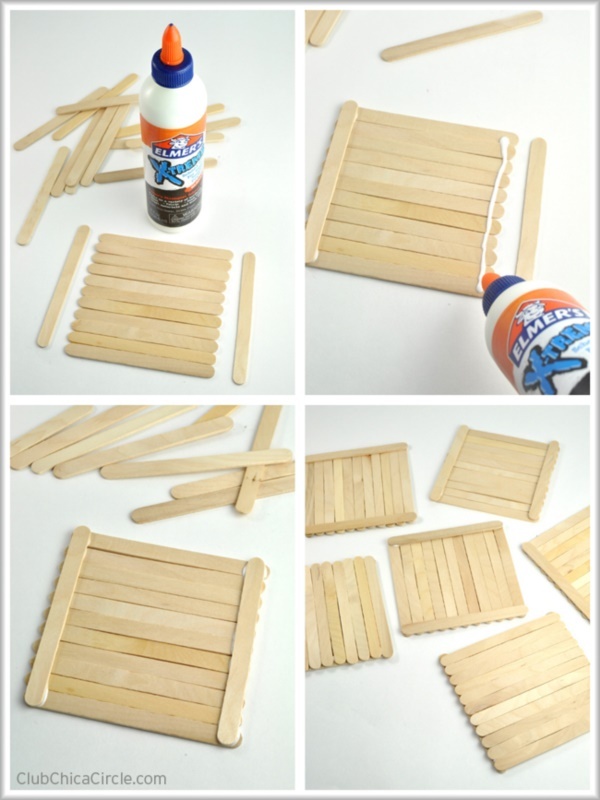 Out of all Easy Popsicle Stick Crafts for Kids, this one is probably the easiest. 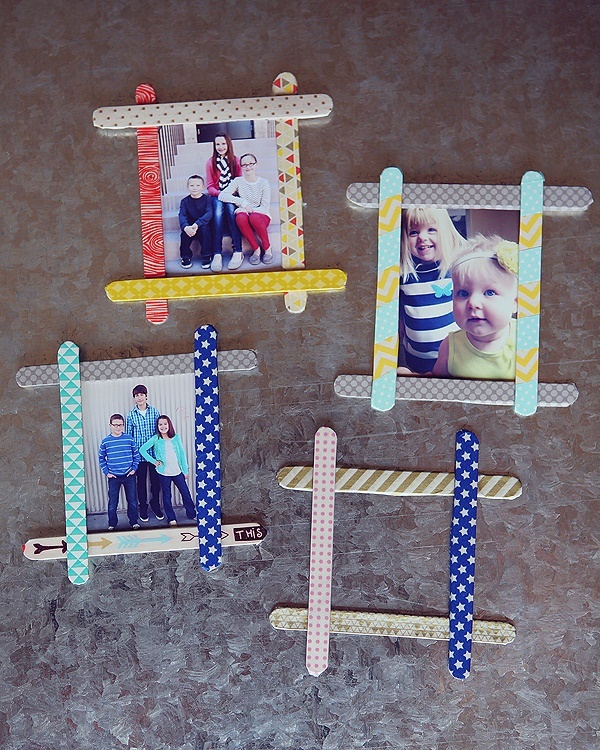 For the most basic photo frame, take four popsicle sticks, and glue them to one another in such a way that the overall stricture appears to be a rectangle, and you are good to go. 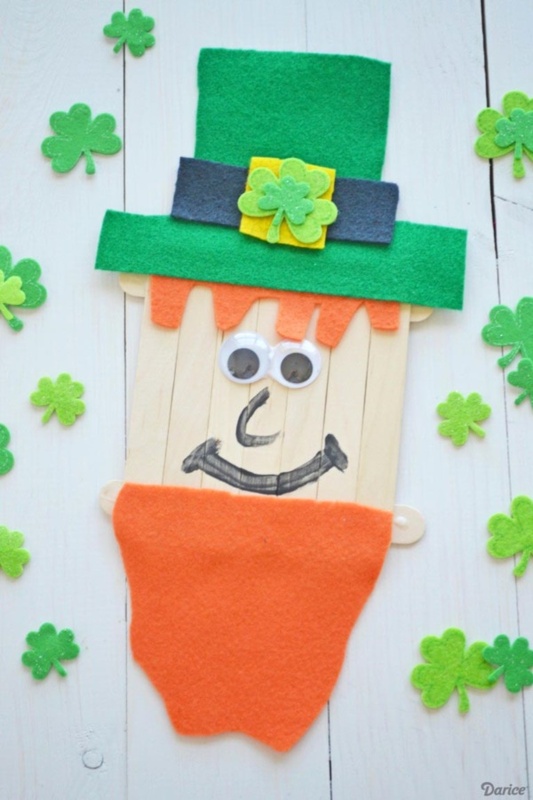 But for an elaborate look, you can use more popsicle sticks and embellishments. 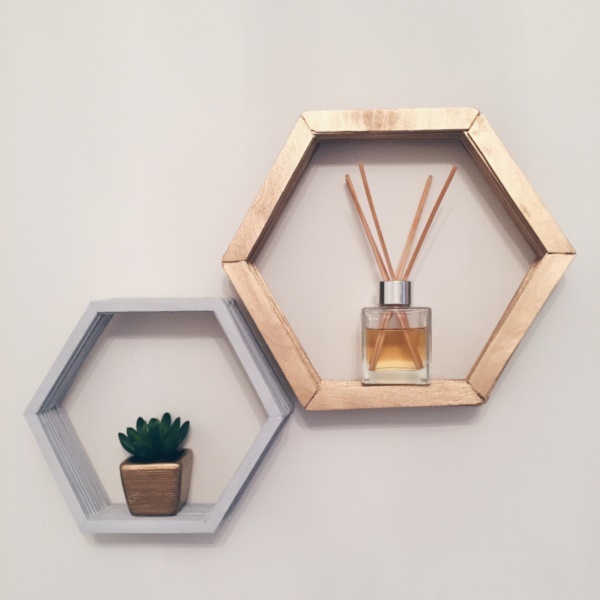 Do you love decorating your house? 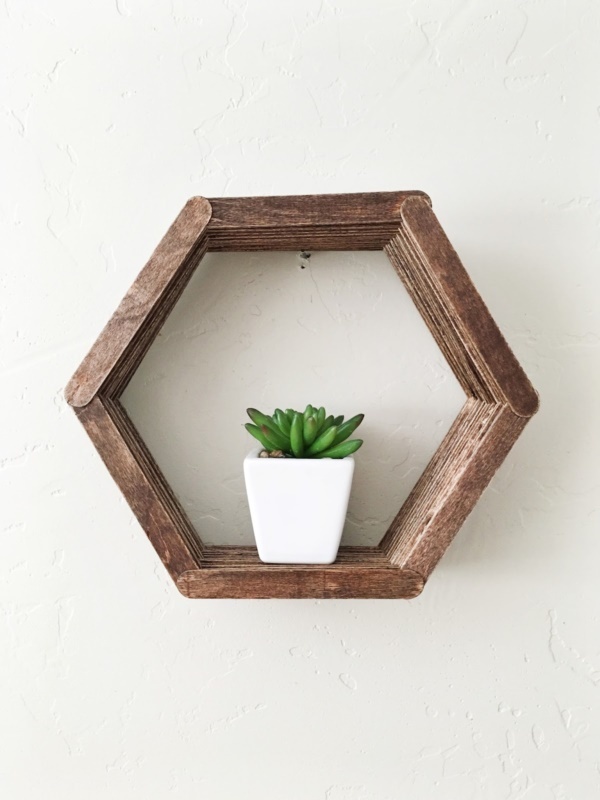 If yes, then this popsicle sticks hexagon shelf is what you need. 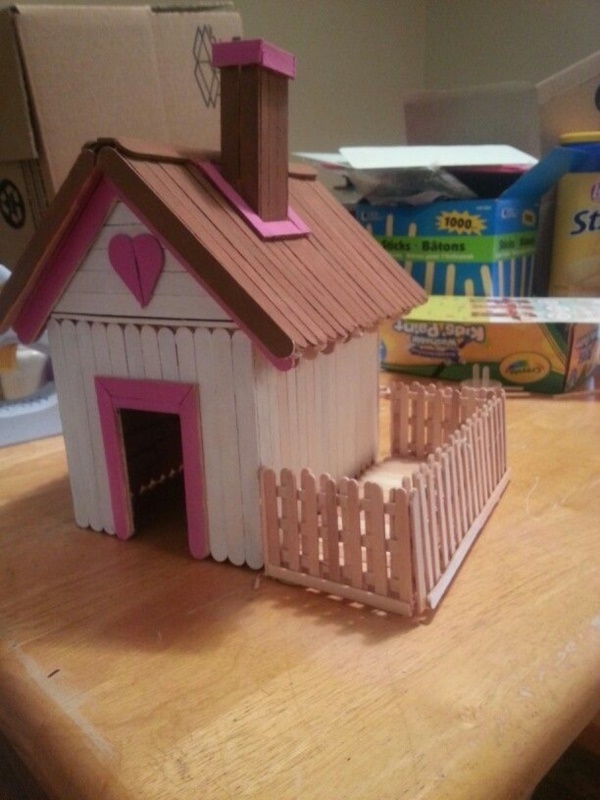 This is a simple craft and doesn’t take a lot of your time. 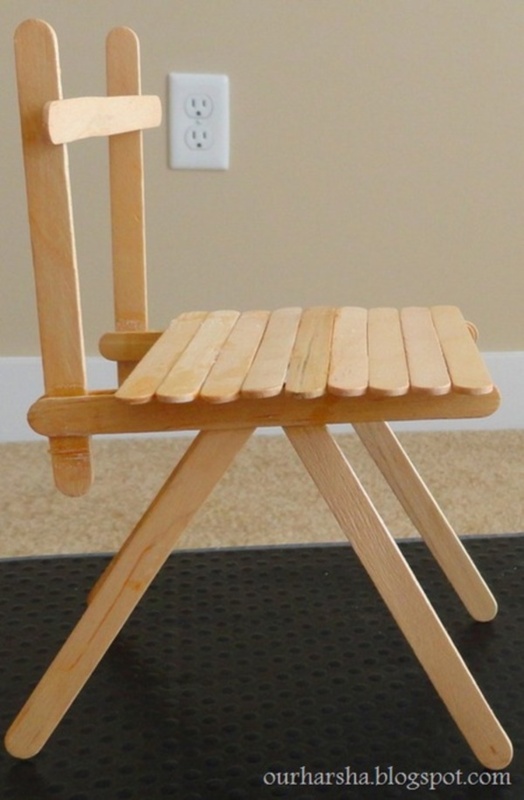 But the finished item is too good to be real. 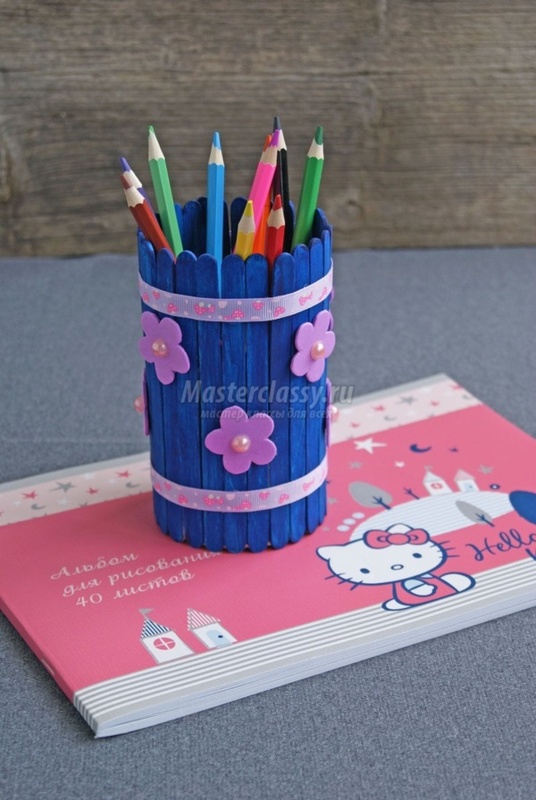 There are hundreds of amazing ways to create pen holders. 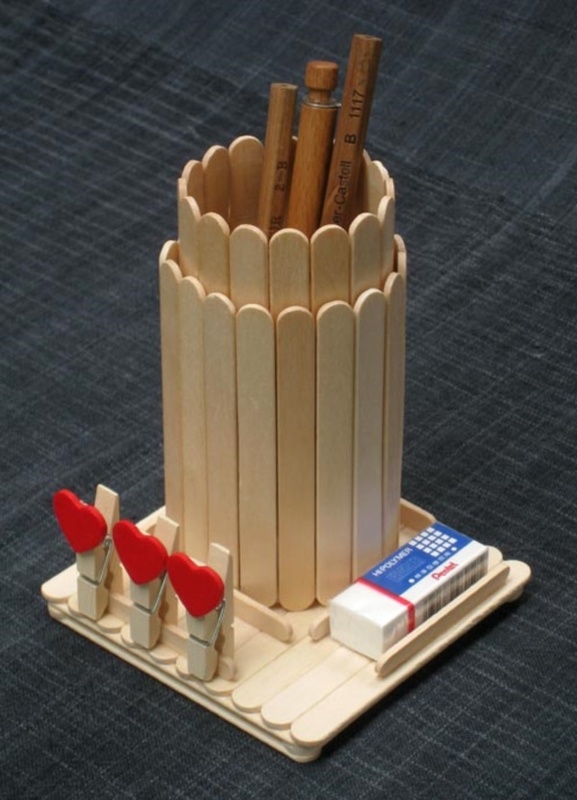 But the way in which you use popsicle sticks is the most amazing one, because it doesn’t require a lot of crafting expertise on your part. 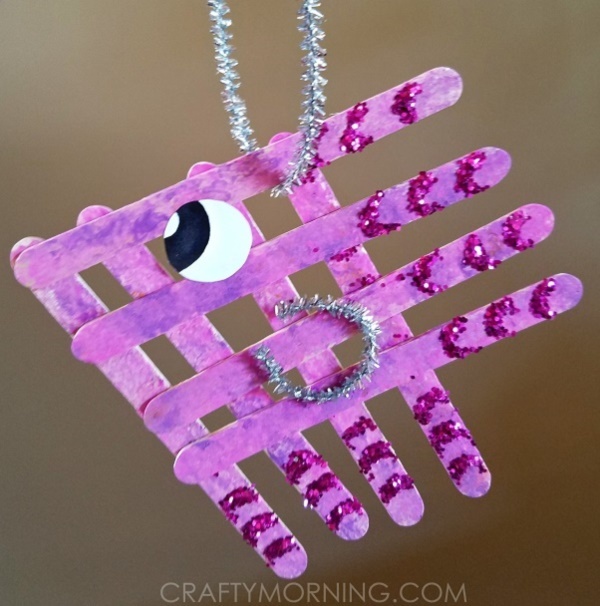 It’s an easy craft idea that you can try even if you have little time at hand. 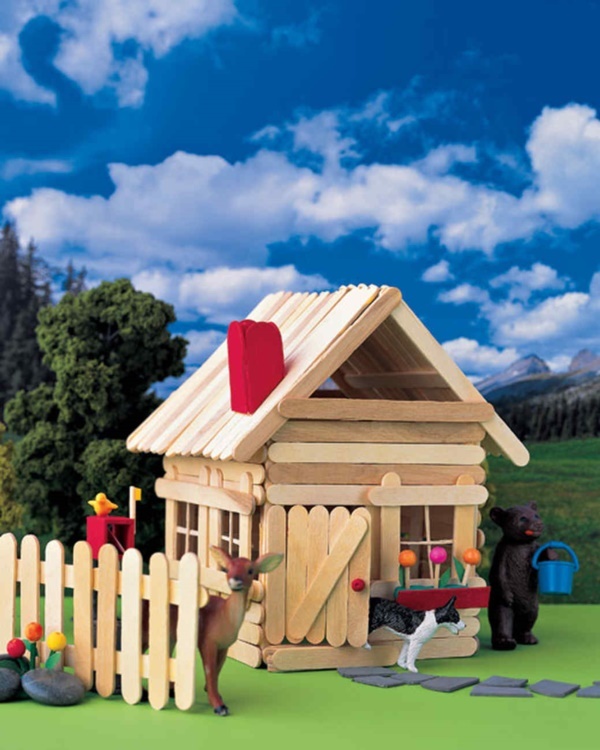 Now, can there be anything cuter than a popsicle sticks house? Well, we say no! 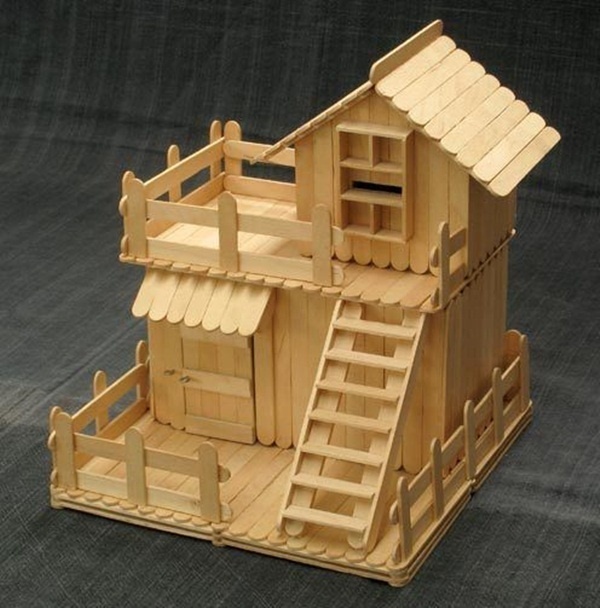 Houses created out of these sticks look adorable, and they can be made to look pretty much like an original house. 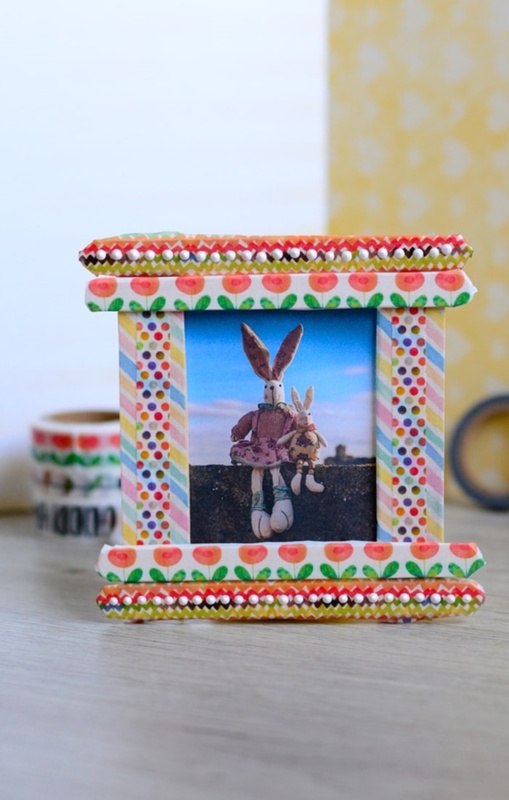 The best thing about this craft is that you can use it as a decorative item. Do you love gliders? 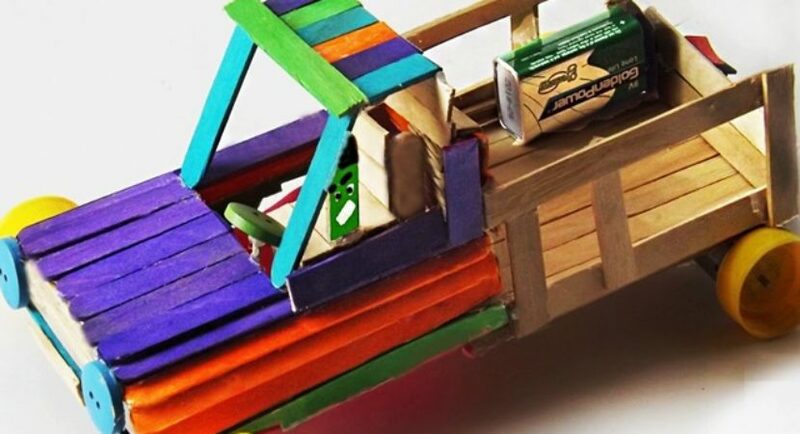 If yes, then try one with popsicle sticks. 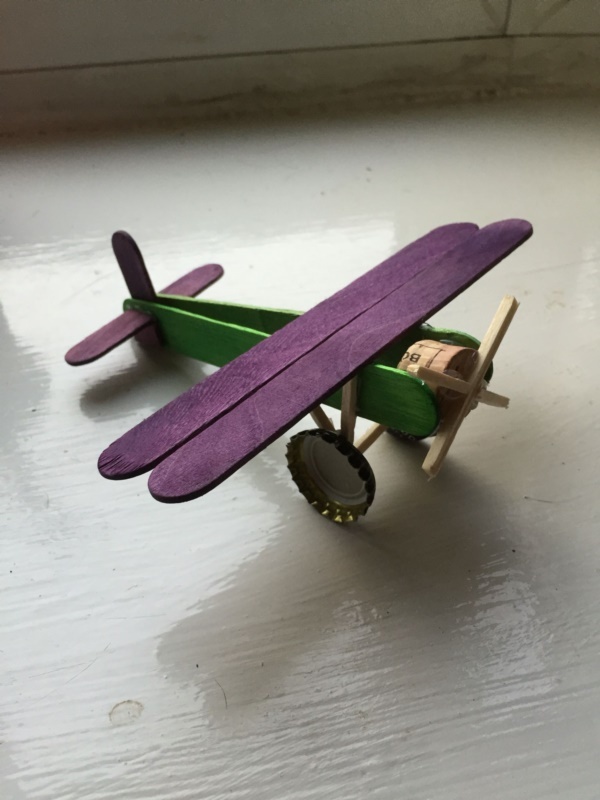 If you are thinking, creating a glider would be a difficult craft, then you couldn’t be more wrong. 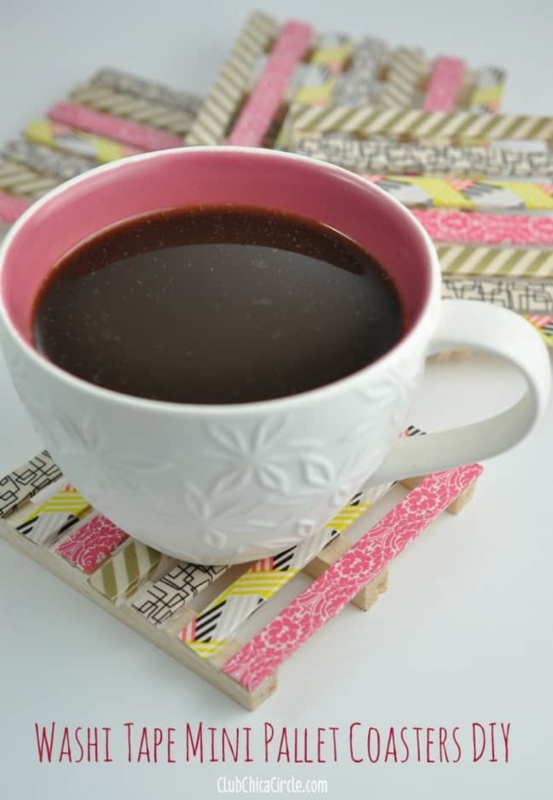 This craft is simple in its truest sense and you can make it within a few minutes. 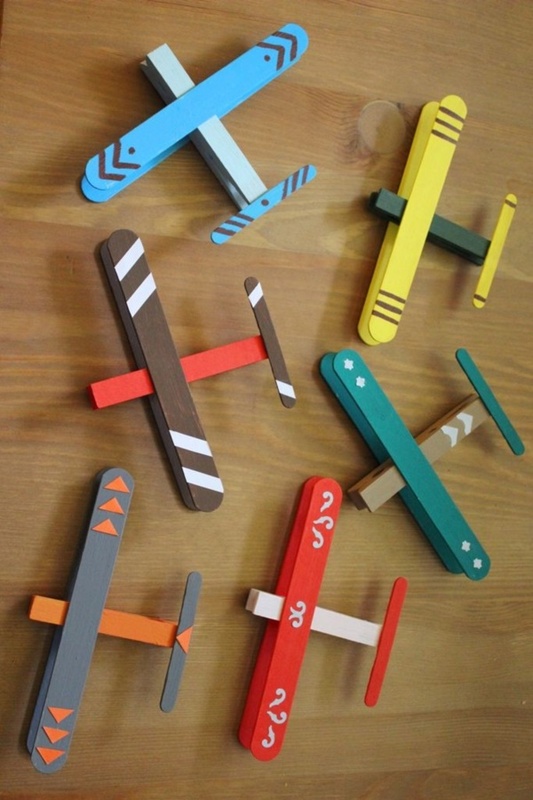 Painted in pretty colours, your popsicle sticks glider will look super cute. 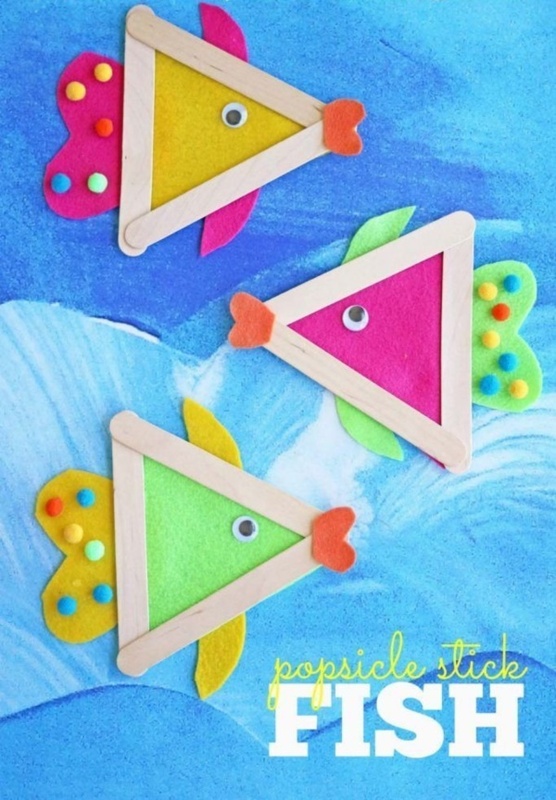 Talking about Easy Popsicle Stick Crafts for Kids, we simply can’t ignore this one. 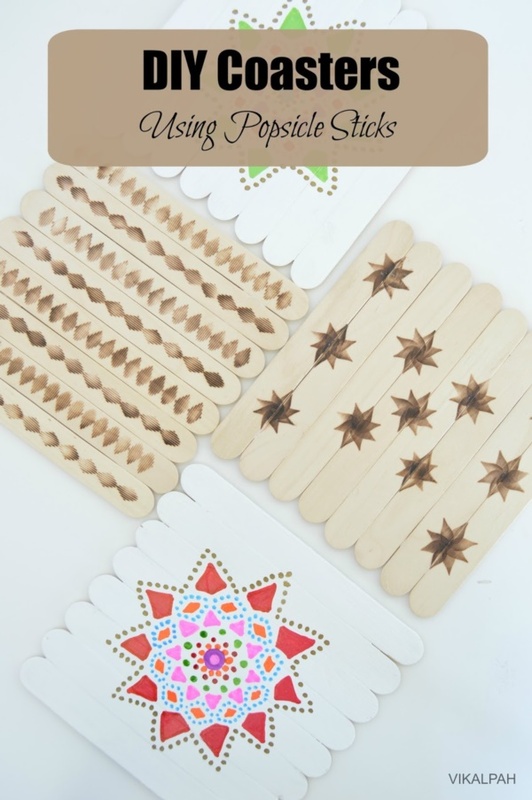 This popsicle sticks earring holder is extremely easy to make and its usefulness is immense. 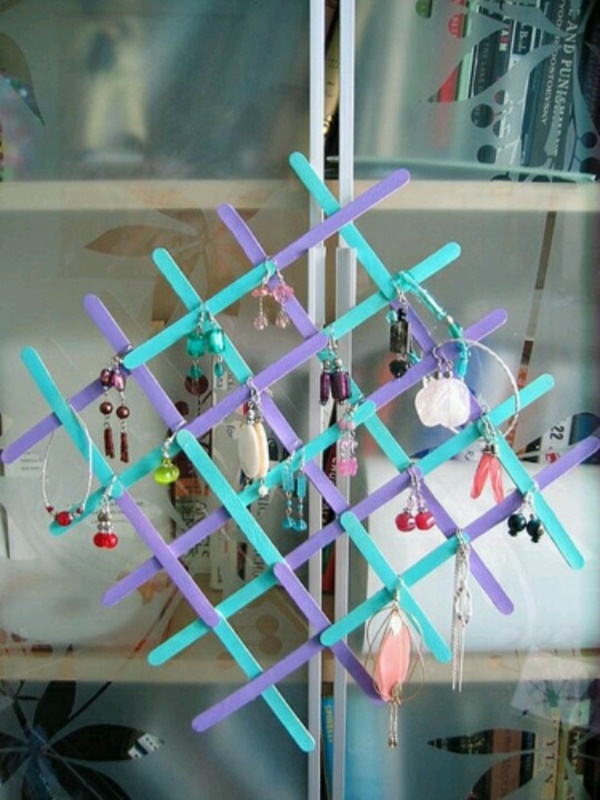 If you love earrings then you sure need this in your wardrobe. 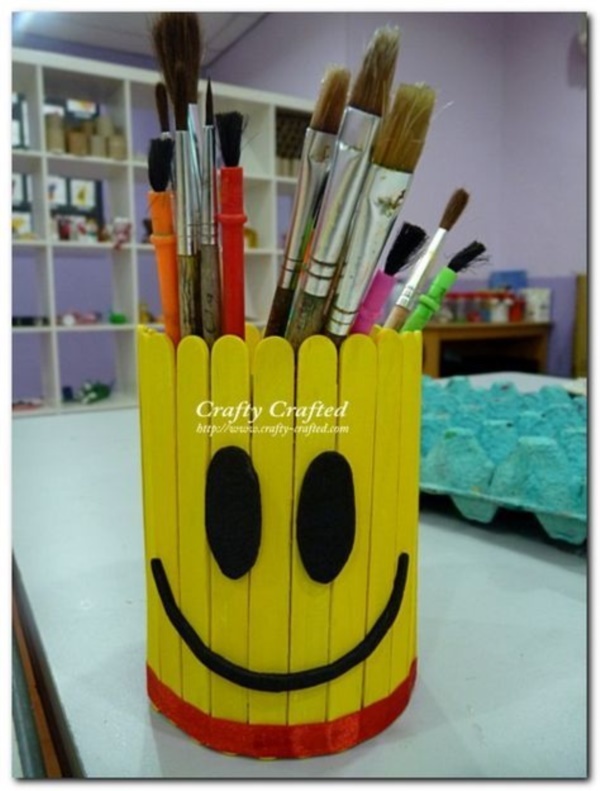 Table containers are a useful craft. 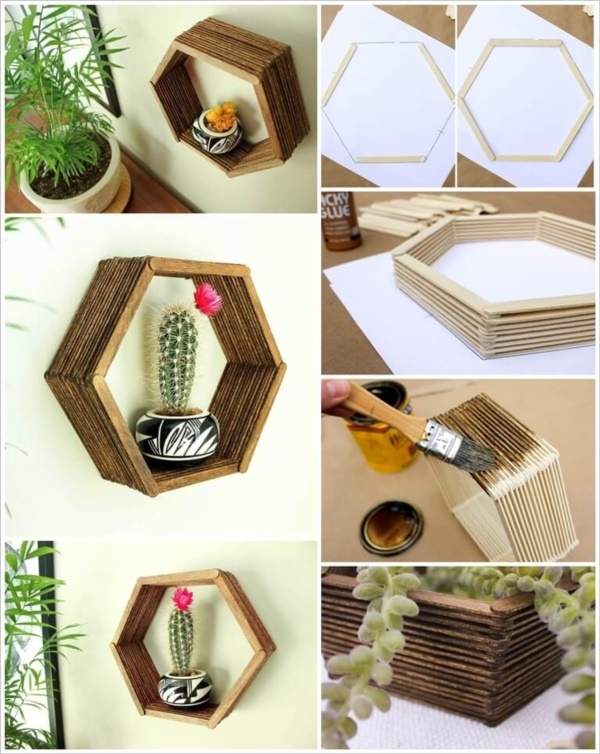 You can use them to keep your stationery items. 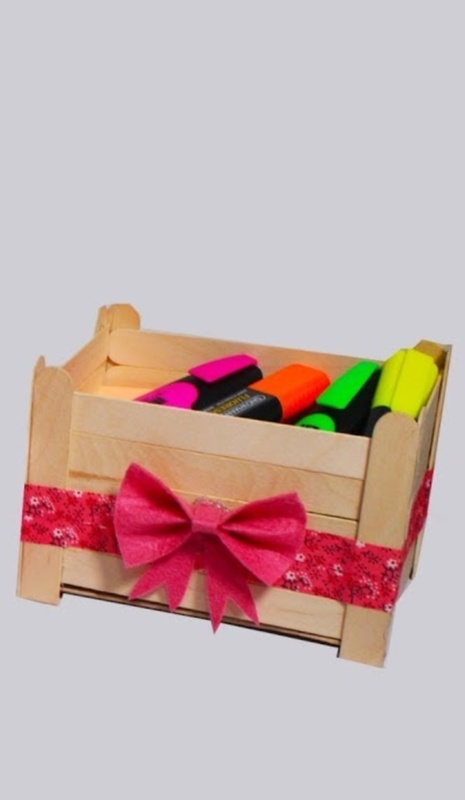 You can also use them to keep your hair clips, rubber bands and other essentials. 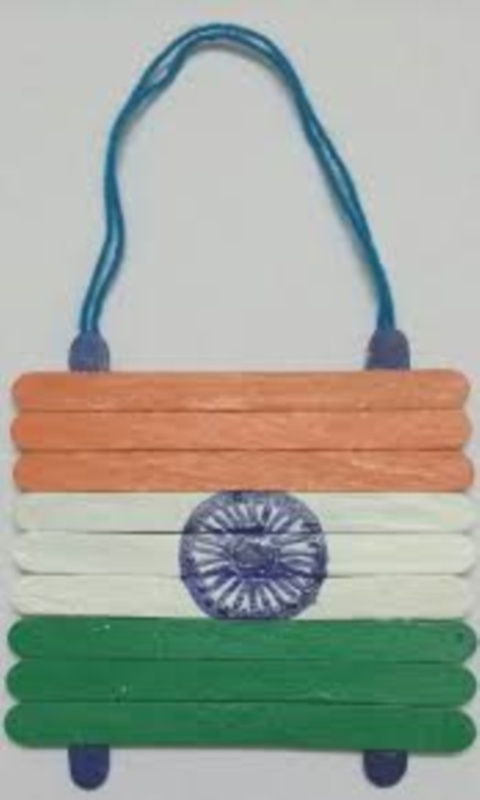 Although you can buy such a container from the market, it won’t be needed because you can easily create one using popsicle sticks. 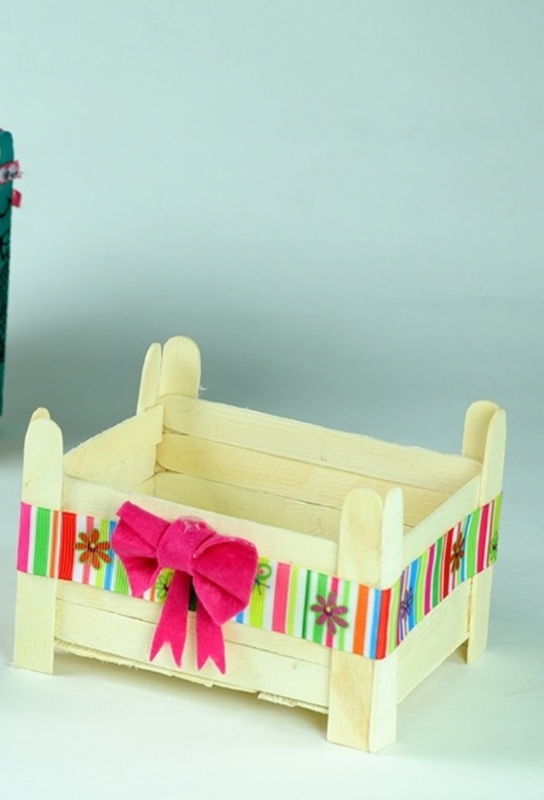 Household items in miniature scale look adorable. 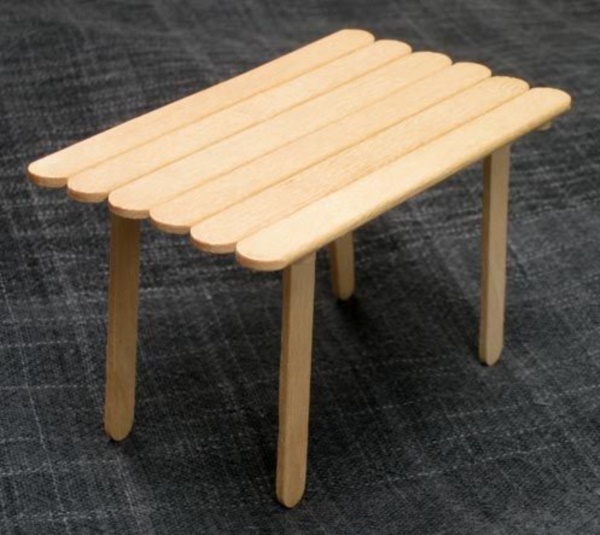 Whether it’s a table or a chair, you can create it easily using popsicle sticks. 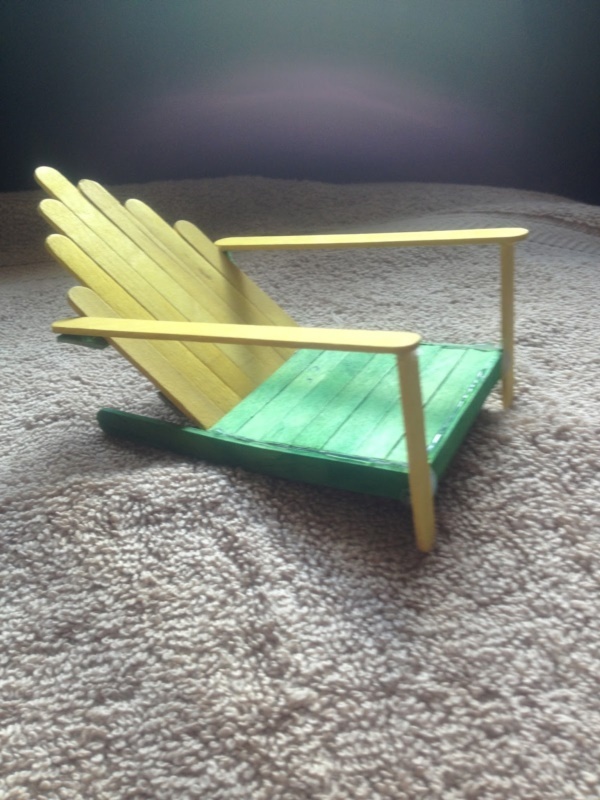 Miniature scale popsicle table and chairs can be used as a decorative item. 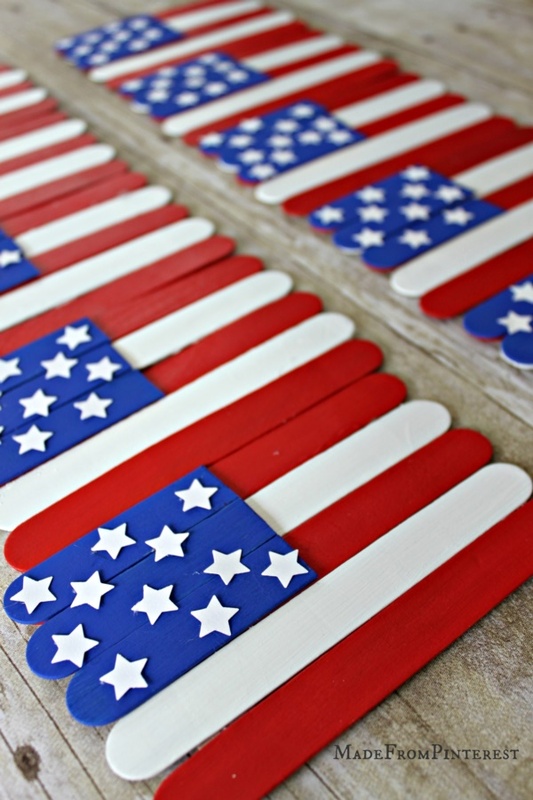 Yes, you can use popsicle sticks to crate flags. 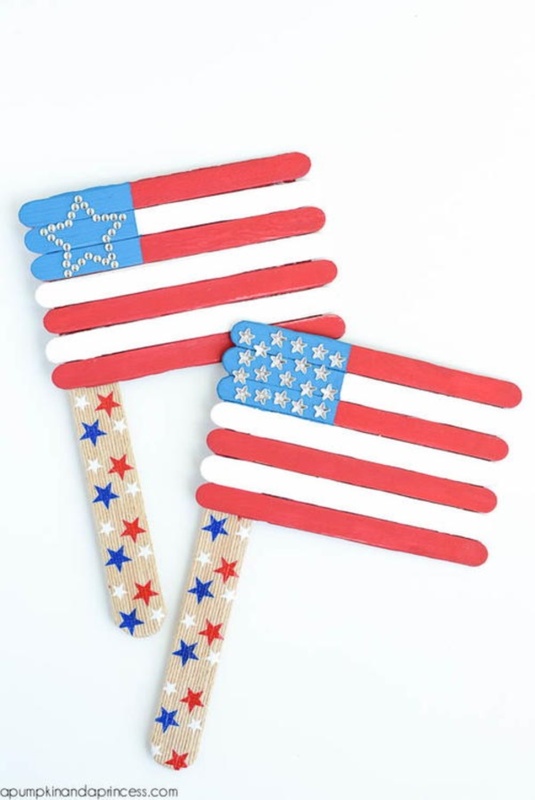 American flag is the easiest to create with these sticks, but you can also try out national flags of other countries. 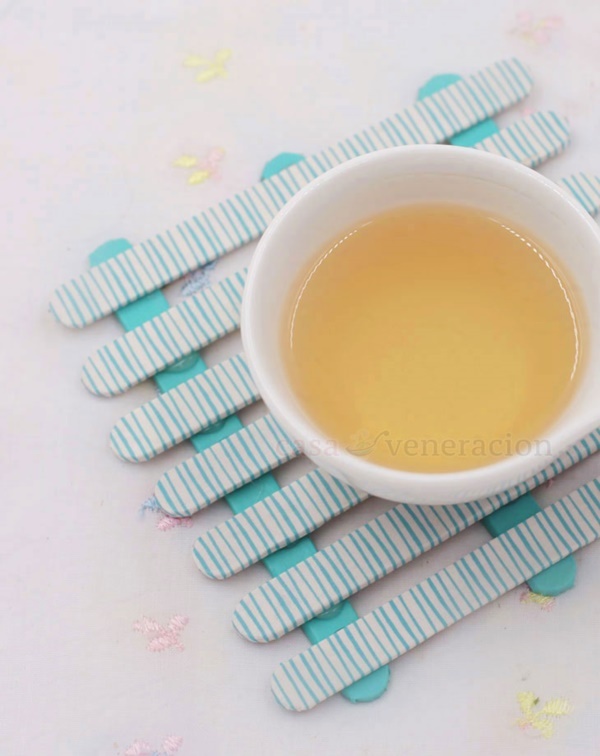 Tea coasters made of popsicle sticks look amazing. And they are pretty much functional. 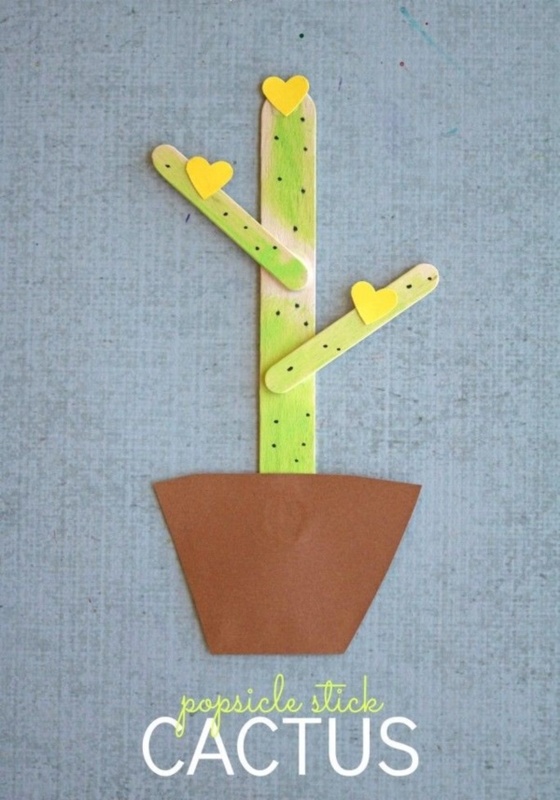 Make sure, you colour them beautifully, so that they ooze out that store-bought feel.